Los diez mandamientos de Éxodo 20:1-17 (representados como un manual de seguridad aérea). 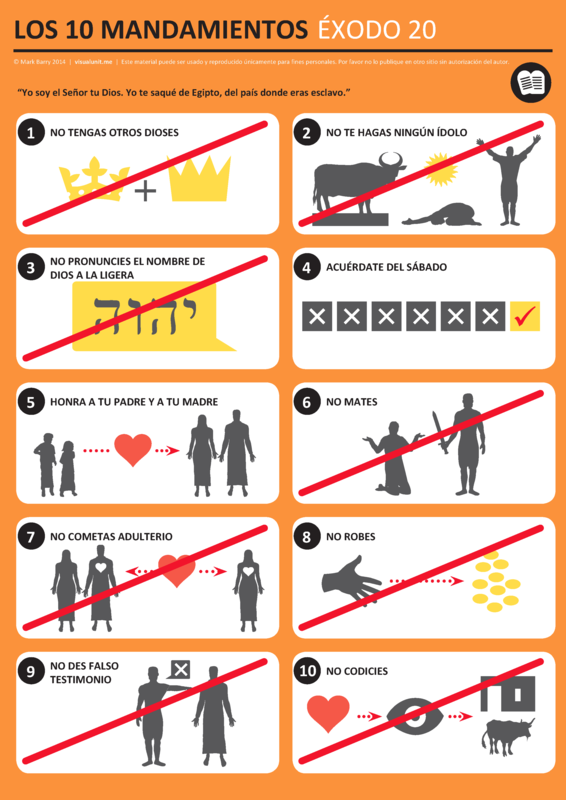 Spanish version of The Ten Commandments from Exodus 20:1-17. PDF version (430 KB). This entry was posted in Spanish and tagged Exodus, Old Testament. Bookmark the permalink.